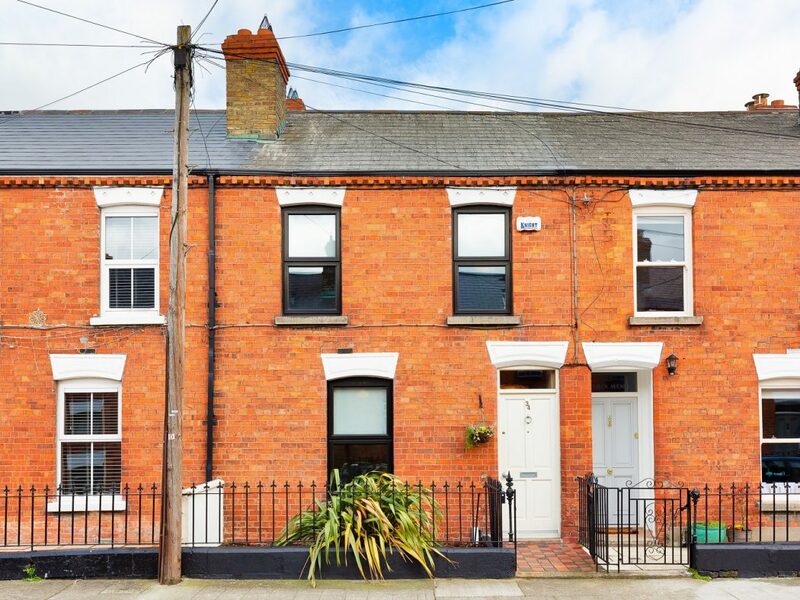 Home / 34 Reuben Avenue, Rialto, Dublin 8. 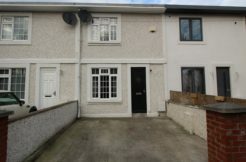 Owen Reilly 34 Reuben Avenue, Rialto, Dublin 8. 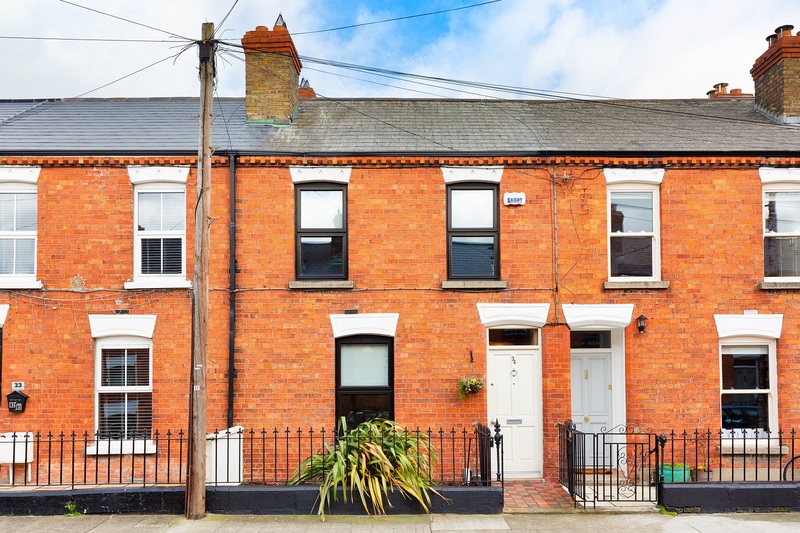 Owen Reilly present this most attractive, two bedroom, period house presented in turn-key condition with an attractive, low maintenance rear garden. 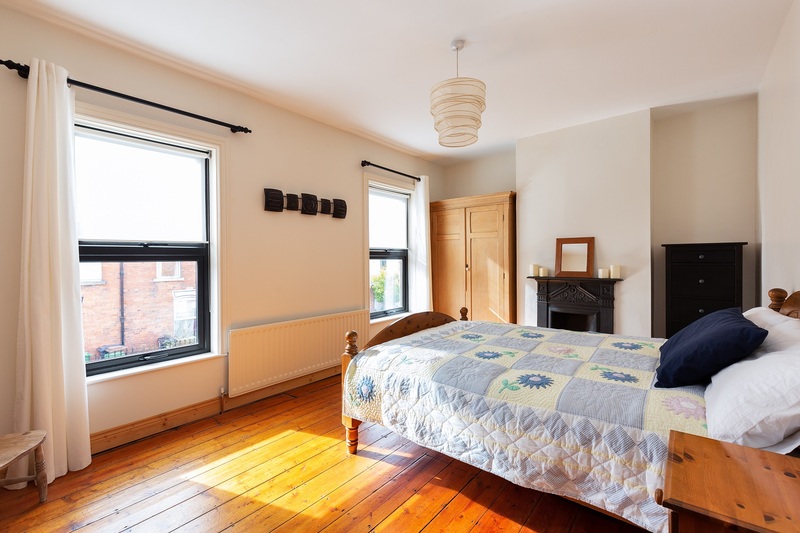 Number 34 features high ceilings, restored original flooring, cast iron fireplaces, double glazed windows and a floored & insulated attic. 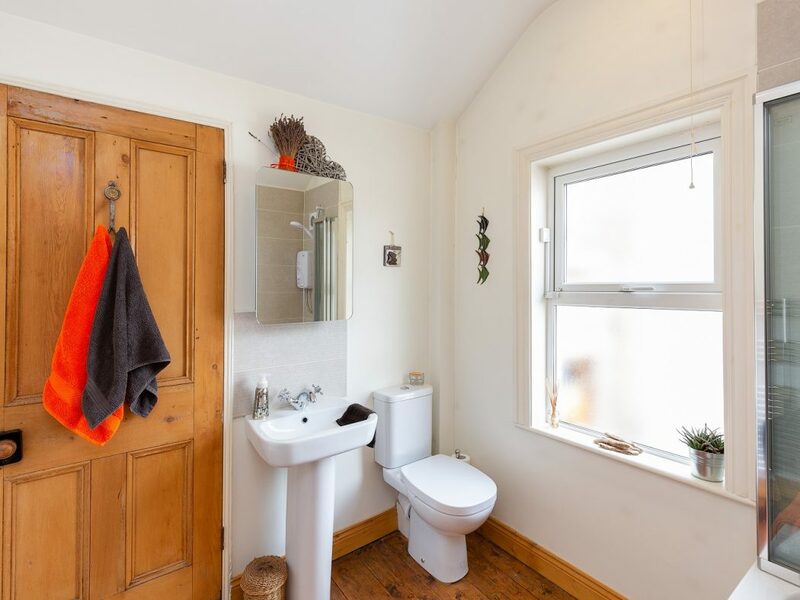 A new bathroom, kitchen and plumbing was installed in 2014. 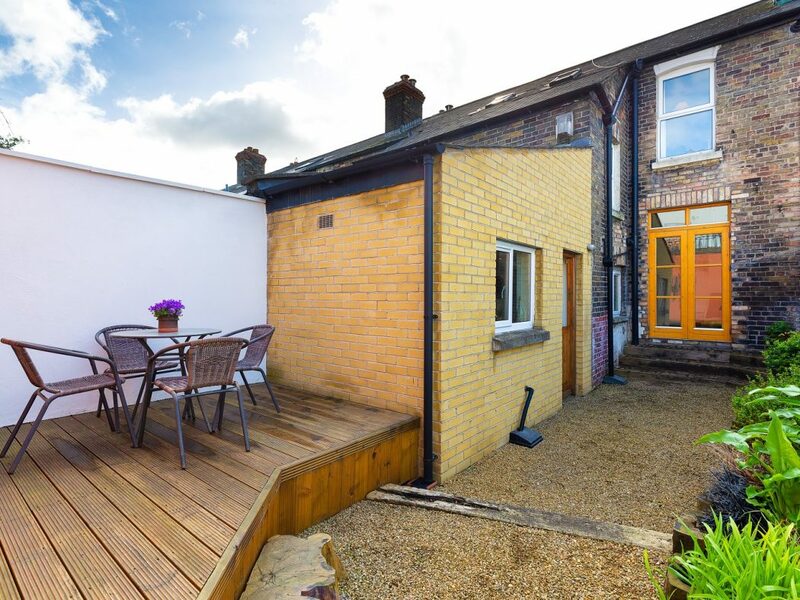 This is a quiet residential area close to the city centre with a host of amenities on the doorstep and a Luas Stop around the corner. 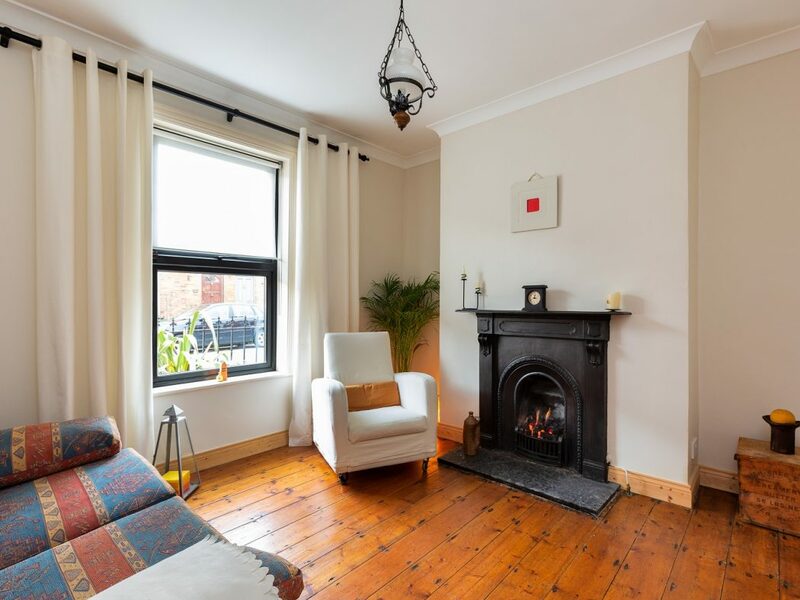 This property offers bright, well proportioned accommodation, beautifully maintained by the current owner comprising entrance hall, living room with original cast-iron fireplace, TV room with feature brick fireplace and original timber flooring. 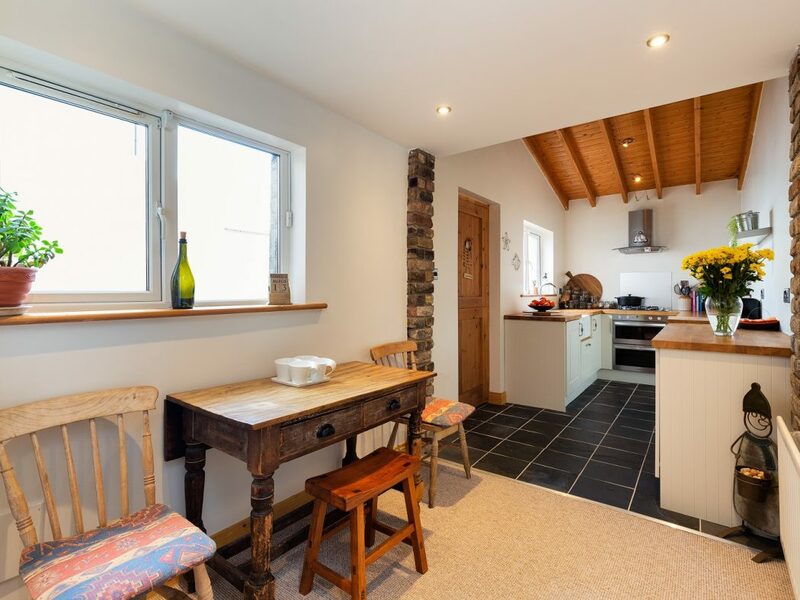 The extension to the rear has a contemporary kitchen/breakfast-room with stable door access to a very attractive and private rear garden with raised decked area. 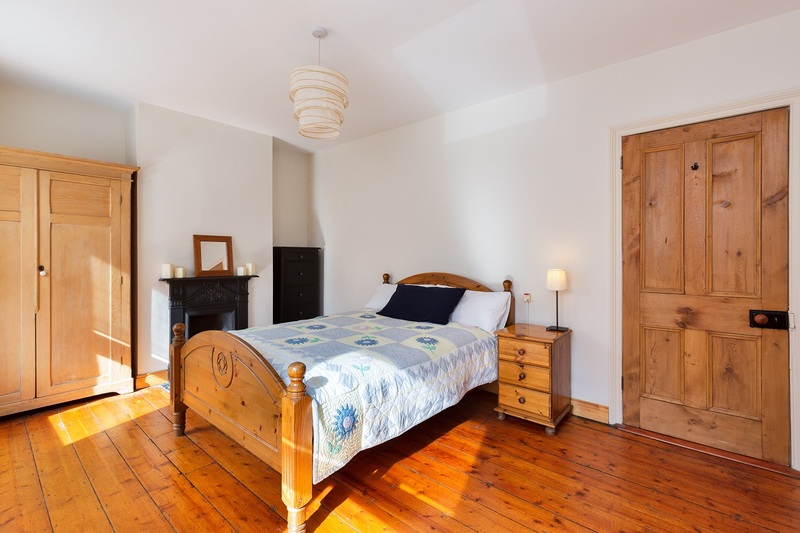 Upstairs there is a main bathroom on the return and on the first floor there are two bright double bedrooms with original solid timber flooring and original cast iron fireplaces. 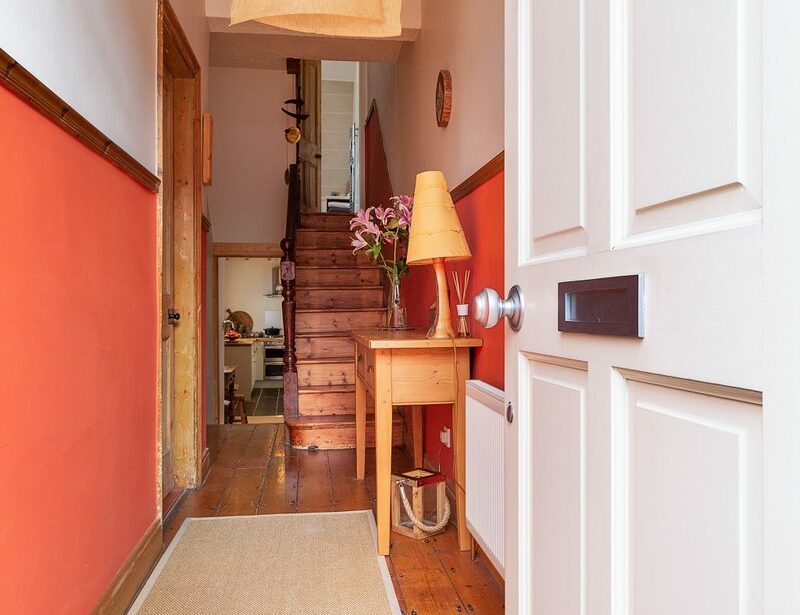 A floored and insulated attic with Stira stairs is accessed from the landing. To the front there is ample on-street permit parking. Viewing is highly recommended. 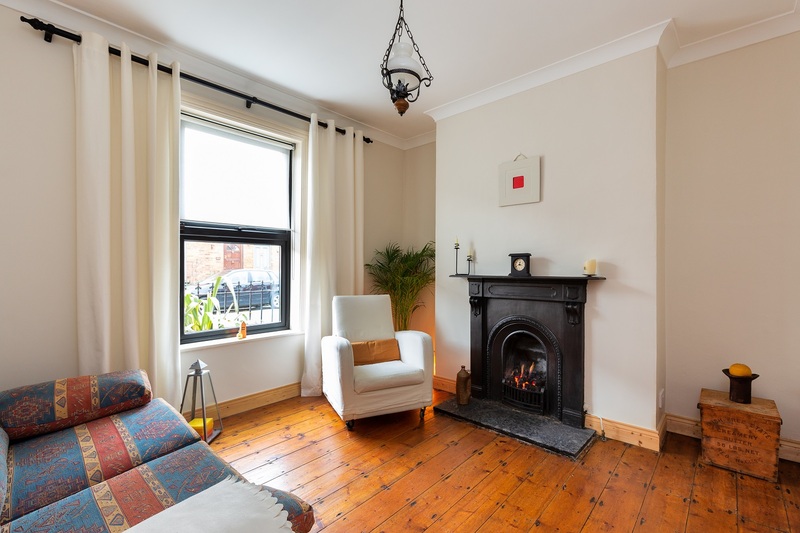 Reuben Avenue is situated in a mature and quiet residential area of Rialto with Dublin city centre easily accessible by foot, LUAS or the regular bus routes that service the area. 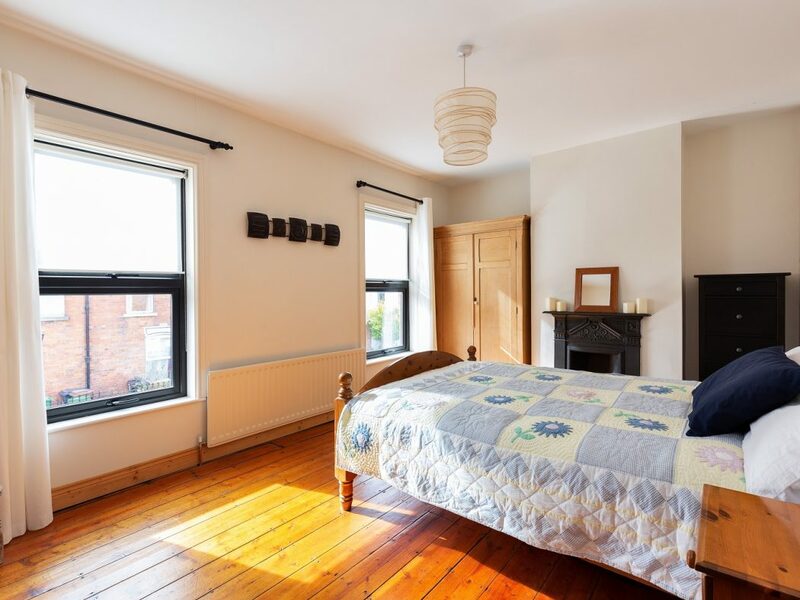 There are many services and amenities nearby, notably the Coombe Maternity Hospital, Griffith College, St. James’s Hospital. 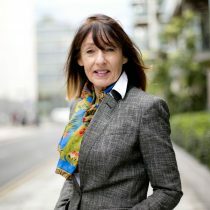 A Tesco Express and Spar Supermarket are minutes’ walk. 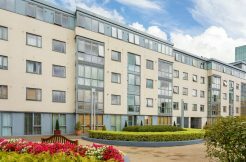 The M50 Motorway is within a 15 minute drive providing easy access to several national roads and Dublin Airport. 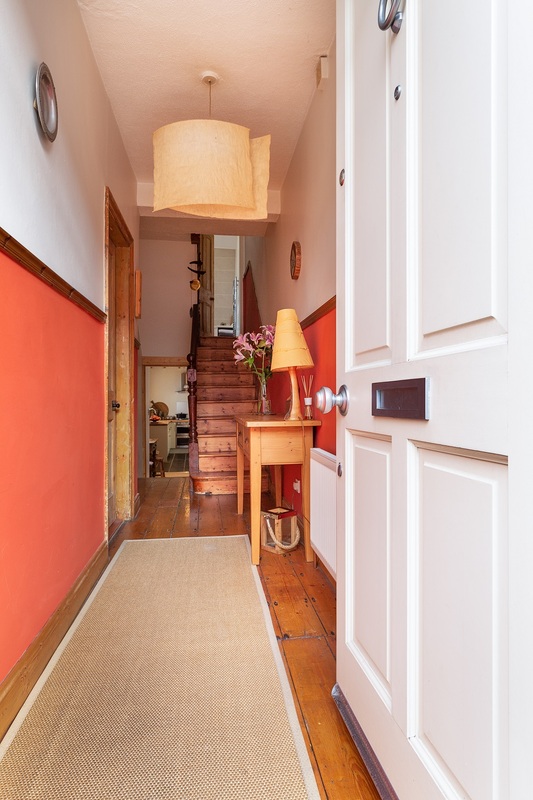 Inviting hallway with original timber flooring and dado rail. 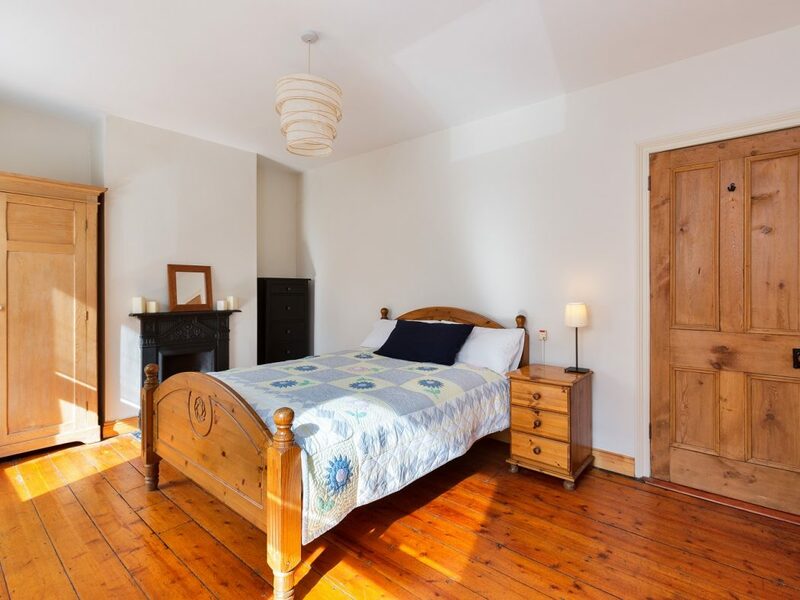 Bright room with original cast iron fireplace with gas fire and original timber flooring. 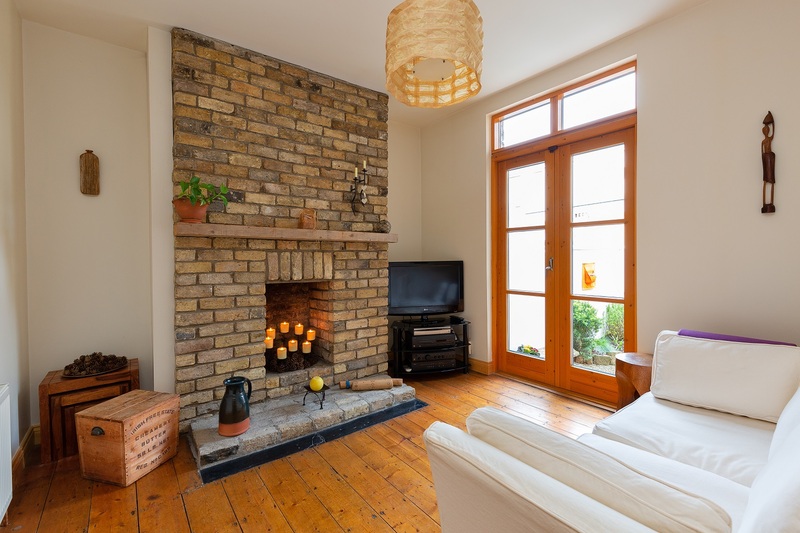 Attractive room with exposed brick chimney breast and open fireplace, Rationel double glazed French doors to rear garden and original timber floor. 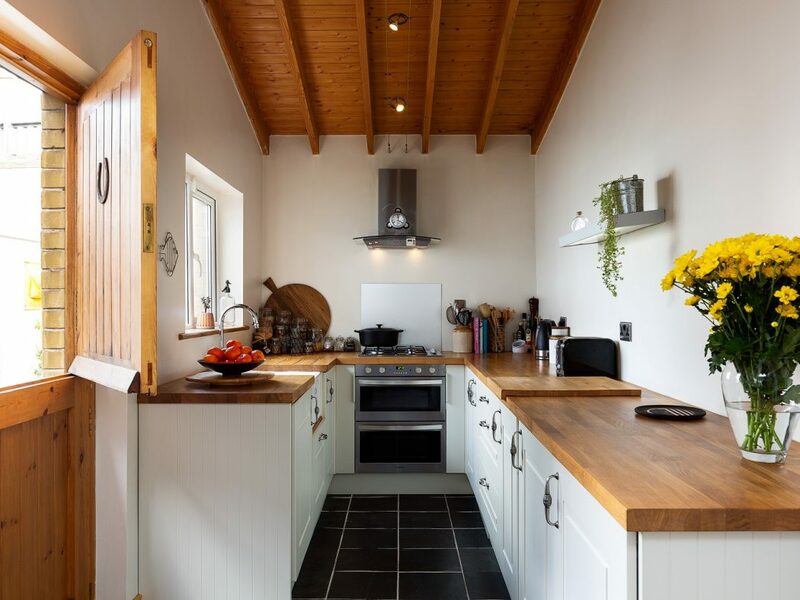 Open plan kitchen/dining room with solid oak work top and Belfast sink. 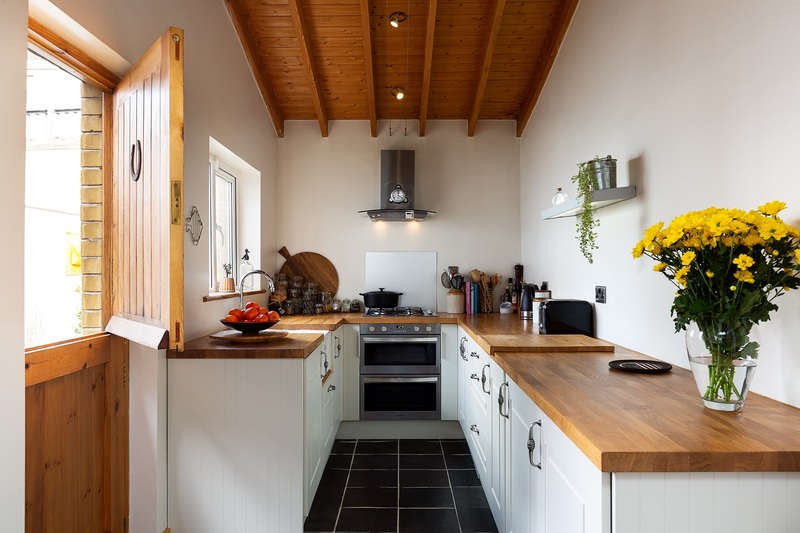 Soft closing units with chrome pull-out baskets , chrome magic corner unit, spice rack press. 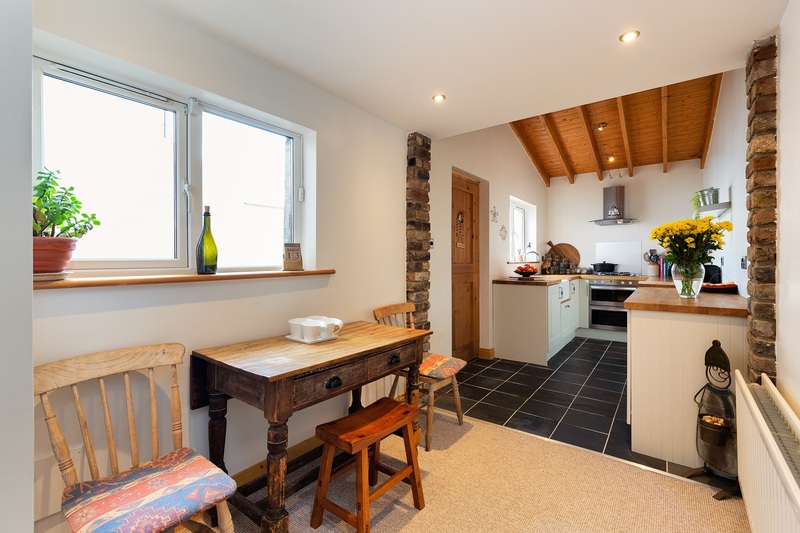 Integrated fridge and freezer, washing machine, Normende gas hob and double oven, Gyroscope cable spot lights, stable doors leading to rear garden. 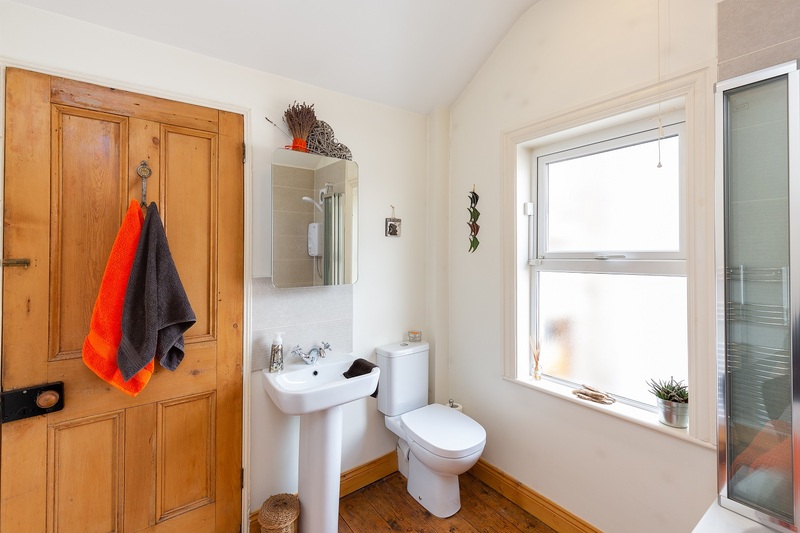 Bath with Triton electric shower, WHB, WC, heated towel rail, mirrored cabinet, down-lighters and original timber floor. 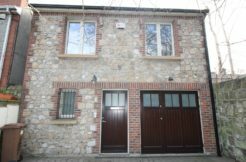 Exposed brick wall, skylight, dado rail, original solid timber flooring and Stira stairs access to floored and insulated attic. 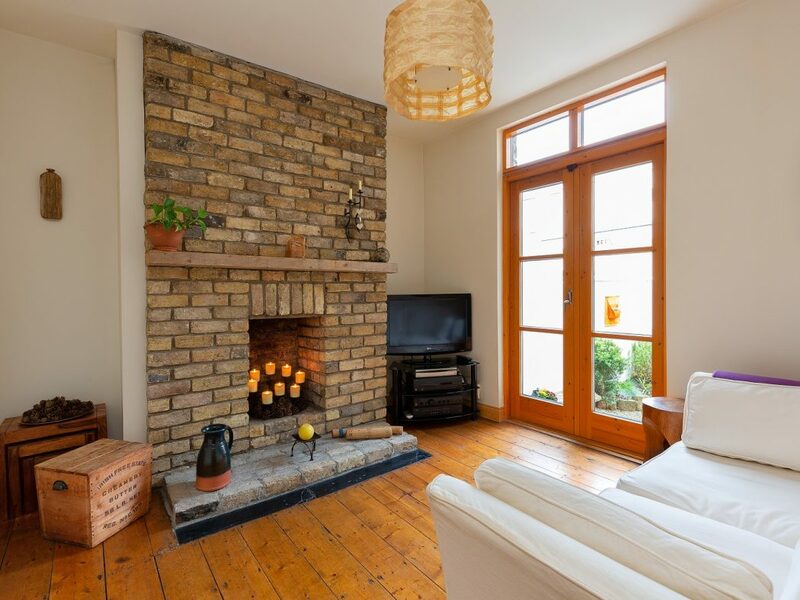 Spacious and light-filled, original solid timber floor, original cast iron open fireplace and two double glazed windows. 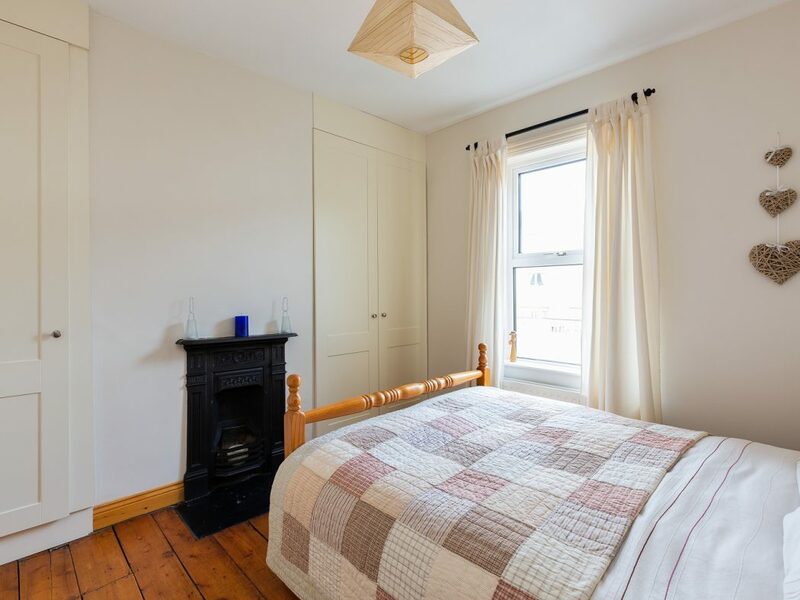 Double with two built- in wardrobes and original timber flooring. Low maintenance with mature shrubs and grasses bordered with railway sleepers. 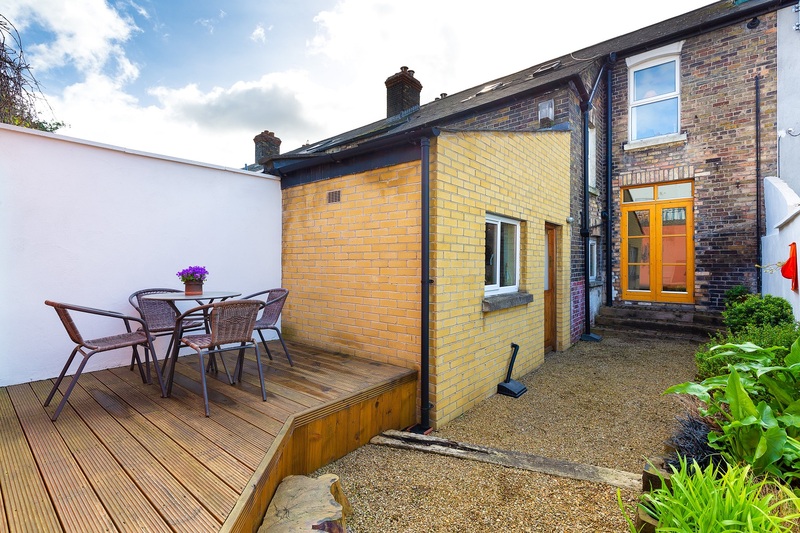 Secluded raised timber decking area for al fresco dining. 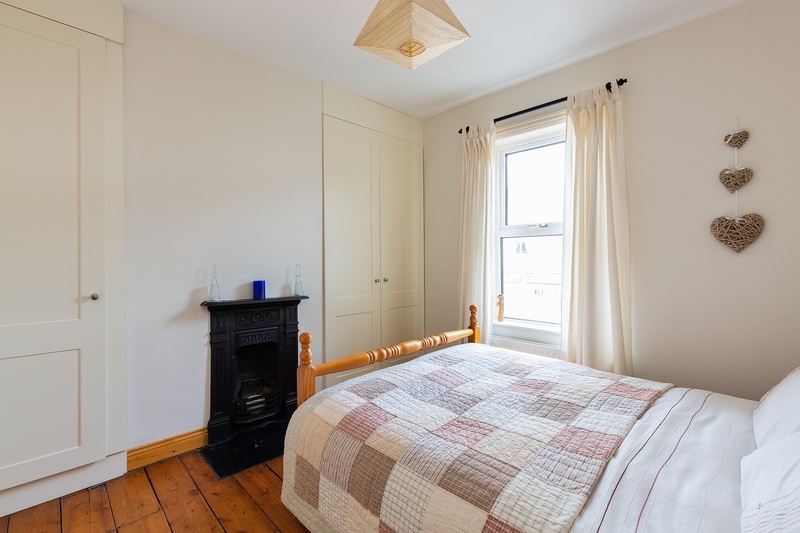 (2.63m x 2.28m).